An overview of rubber compound materials and their properties. When selecting the best materials for an application, it is critical to consider what the application will require from the finished part. This will help determine which materials and rubber compound will provide the best performance. Learn more about LMI's compound mixing capabilities on our Compounds page. Known for its outstanding ozone, weathering and aging resistance, EPDM is excellent for outdoor use. It has excellent water and steam resistance, maintains its flexibility at low temperatures, and is very color stable. EPDM features excellent resistance to alkalis, acids and oxygenated solvents. EPDM rubber is not recommended for applications that require resistance to oil, gasoline and hydrocarbon solvents. EPDM shows excellent resistance to hot and cold water, glycol, steam and polar chemicals like ketones and excellent electrical insulating properties, as well as satisfactory compatibility with fireproof hydraulic fluids and alkalis. 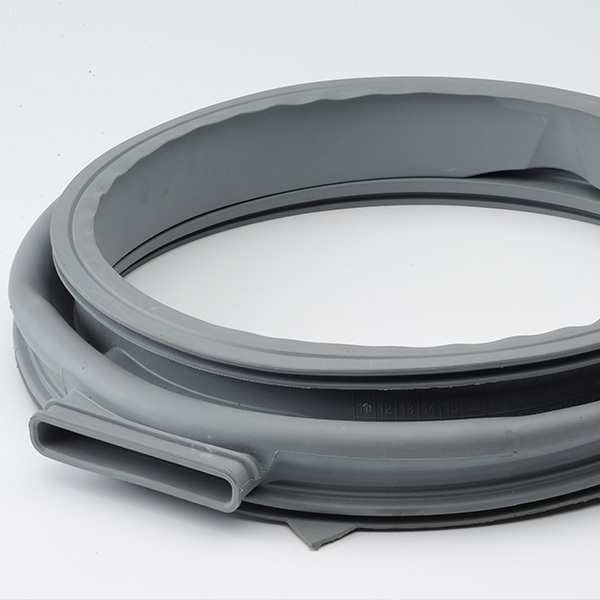 EPDM is used in vibration dampening components, seals, glass-run channels, radiators, garden and appliance hoses, tubing, automotive and appliance seals, belts and electrical insulation. It is also used for roofing membranes, geomembranes, rubber mechanical goods and many other applications. Neoprene is an excellent all-purpose elastomer with a solid balance of properties and good impact/tear resistance. Neoprene has moderate resistance to oils and gasoline, as well as good flame resistance. This material weathers well and has very good resistance to abrasion, flex cracking, alkalis and acids. However, neoprene provides poor resistance to aromatic and oxygenated solvents, it has limited flexibility at low temperatures and it has limitations in compression set. Nitrile compounds have very good oil/gasoline resistance, permeability, heat resistance and abrasion resistance. The more base nitrile used in the compound formulation, the better the nitrile’s resistance to alkalis and acids will be. Nitrile must be specially compounded for resistance to ozone, sunlight and natural aging, and it has poor resistance to oxygenated solvents. Nitrile is superior to neoprene in oils and solvent resistance, but is not recommended for applications where it is exposed to severe weathering. 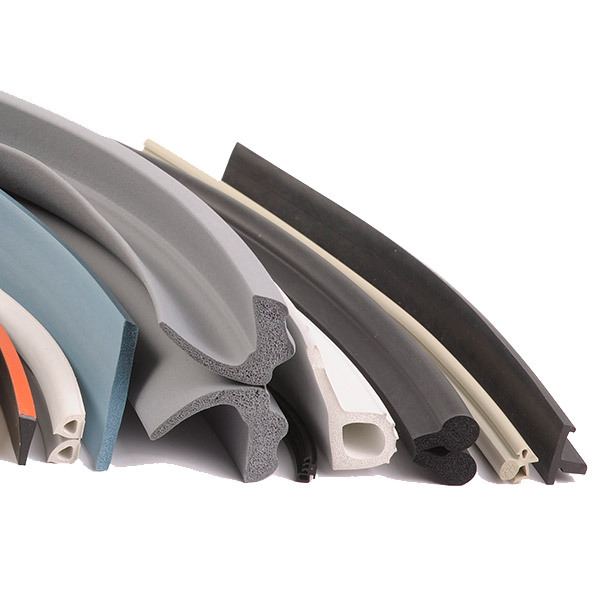 Nitrile rubber can be blended with other elastomers and thermoplastics, such as PVC. Combining nitrile and PVC adds coloring capability, improves abrasion and tear resistance and reduces gas permeability. When combined, the NBR gains additional ozone resistance and the PVC gains added flexibility. NBR/PVC compounds resist oil and UV, but have poor weathering resistance. NBR/PVC is not recommended for applications that require flame resistance. Styrene-Butadiene-Rubber (SBR) is known for excellent impact strength, good abrasion resistance and the ability to maintain its flexibility at lower temperatures. SBR is not recommended for applications where resistance to oil and gasoline is required. This material is also not recommended for applications with exposure to UV and ozone. SBR is used in tire treads, conveyor belt covers, mats and shoe soles. Polybutadiene has excellent elastic properties, high resistance to wear and high resistance to electrical currents. Because polybutadiene exhibits good resistance to cold temperatures, this material is frequently used in tires and other automotive applications. Natural Rubber exhibits high tensile strength and tear resistance, as well as outstanding resilience and abrasion resistance. This polymer has good resilience and compression set, a high degree of elasticity and low odor. It also provides an excellent barrier to water. However, natural rubber has poor oil and solvent resistance and is not recommended for high heat or severe weathering environments. Chlorinated polyethylene (CPE) has excellent flexibility and resistance to ignition. It also exhibits outstanding resistance to chemicals, heat aging, abrasion, weathering and low temperatures. 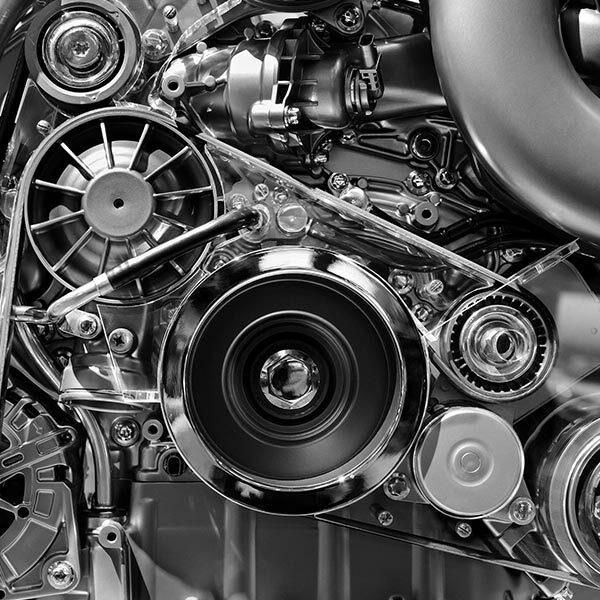 CPE has high tensile strength and moderate resistance to oil, and it is used in wiring, sealing and automotive applications, as well as in industrial hoses and tubes. Chlorosulfonated polyethylene (CSM) exhibits good resistance to chemicals, oil and abrasion. CSM is also known for excellent weathering, extreme temperature and UV light resistance. This polymer resists fire and has self-extinguishing properties. CSM exhibits poor fuel resistance and compression set. Ethylene acrylate rubber (AEM) resists oil, heat and ozone. AEM has good resistance to oils and greases, and it features a wide temperature range and low compression set. This polymer exhibits good low temperature properties and oil resistance. Fluoroelastomers (FKM) exhibit exceptional resistance to heat, aging and a broad range of fuels, solvents and chemicals, which makes them ideal for many demanding aerospace, automotive and industrial applications. Fluoroelastomers offer excellent resistance to weather, ozone, oxygen, sunlight and flames. However, fluoroelastomers have poor resistance to ketones, esters, ethers, amines and aqueous bases (i.e., ammonia and sodium hydroxide).